from 60 pcs. 0,35 EUR ea. from 360 pcs. 0,27 EUR ea. 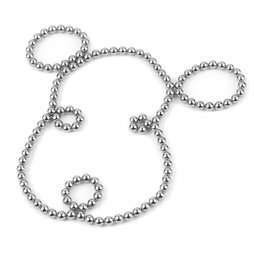 With the small magnetic spheres you can always make new creations with little effort. Please let your friends also experiment with them.